Australia’s largest cactus garden Cactus Country is located in northern Victoria and only 30 minutes drive from our farm. 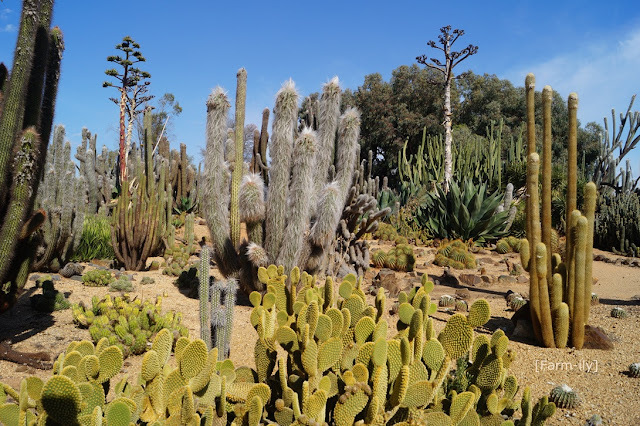 It is an incredible and fascinating place with over 3000 species of cactus of all shapes, sizes and colours. A very prickly place. I am endlessly fascinated by cactus blooms. Some of them are spectacular. Wow... what a collection! Love the furry ones especially. Wow, I never knew there were so many different kinds of cactus. WOW! That would keep my camera busy for quite some time. Wow! Such a surprise to see this in your neck of the woods. It would certainly be interesting to visit but I think I'll let them keep all the prickly plants there. What a cool spot! The amount of cacti in the world is impressive! I've an idea we have driven past that! Yes you would have. It's on the Goulburn Valley Highway near Strathmerton. Looks fantastic. And 30 km is not really far. I would love to visit this place!!! !